Lock in a great price for The Liner at Liverpool – rated 8.8 by recent guests! Great location , very nice staff , room was clean but marked walls here and there but clean , bathroom ok . Very quiet hotel , nice interior . Comfortable beds and pillows,reasonably spacious.Coffee and tea making facilities and minibar in room. 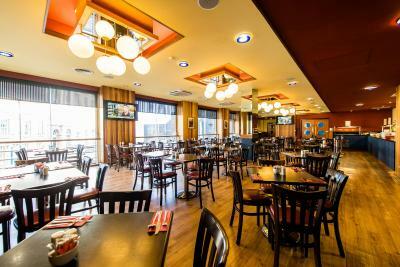 Clean and pleasant decor.Friendly and helpful staff. More characterful hotel in contrast to some hotel chains. Good value, very convenient, comfortable bed, nice size bath and big fluffy towels. Got all the basics for a business trip. I slept well and front staff were prompt and helpful. 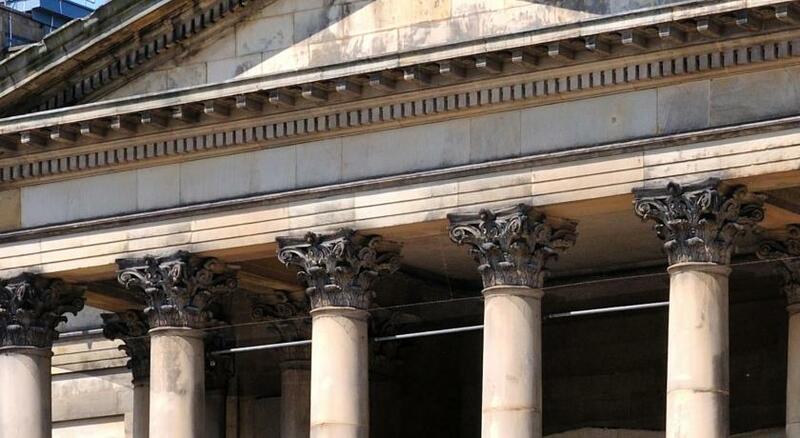 Brilliant location in the city centre, free parking in secure car park very close to the hotel. Rooms are comfy and warm. Staff are really smiley friendly and helpful. Taxi rank just outside the hotel doors always busy and the drivers are lovely funny and helpful too. Facilities were good, parking secure. Good proximity to town and amenities. very helpful and friendly staff, just what was required. 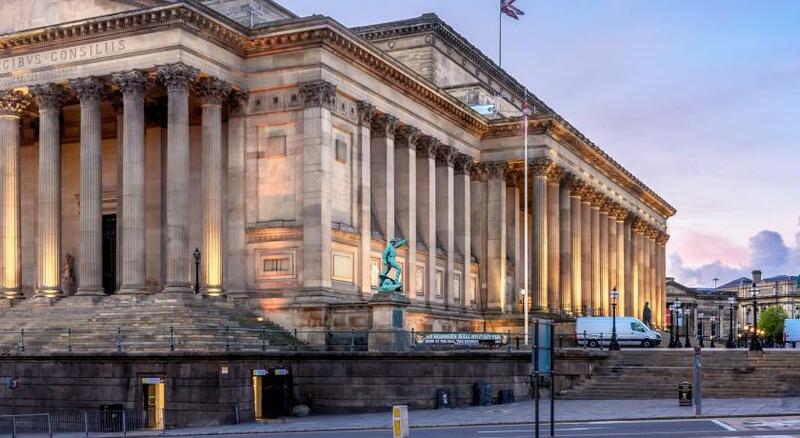 Right next to the Lime street station (turn left when you walk out of platforms and left again up the hill). Very friendly and professional staff. Cute decor. Good value for money. Very comfortable stay as usual at The Liner. Excellent breakfast, plenty of choice. The Liner at Liverpool This rating is a reflection of how the property compares to the industry standard when it comes to price, facilities and services available. It's based on a self-evaluation by the property. Use this rating to help choose your stay! Based on a classic cruise ship, The Liner offers nautical décor and cabin-style rooms with marble bathrooms. 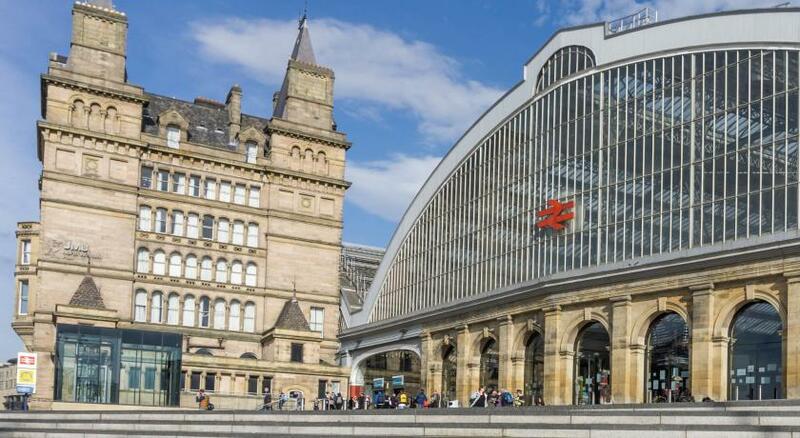 Liverpool Lime Street Station is just 2 minutes’ walk away. 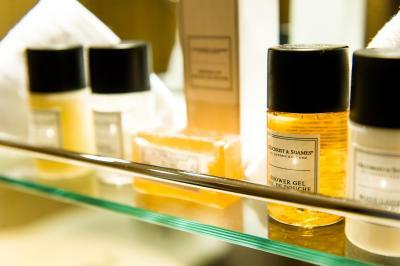 With an LCD TV and free Wi-Fi, each modern cabin includes luxury toiletries in the bathroom. Cabins also feature tea/coffee facilities, a hairdryer, and a mini bar. 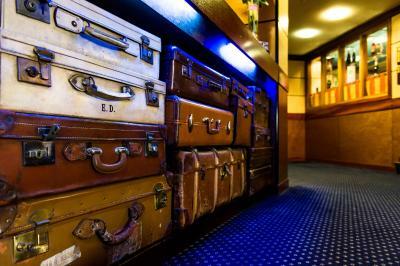 The Liner is located in the heart of Liverpool’s center, and provides free parking for guests. 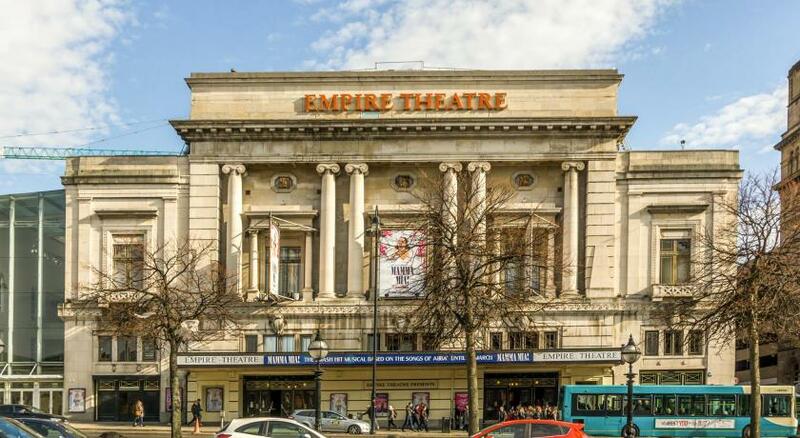 The O2 Academy is just a 2-minute walk, while St John’s Shopping Center is 5 minutes’ walk away. 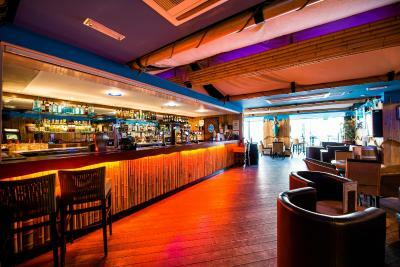 The Seven Seas Brasserie serves a range of menus and traditional cuisine, overlooked by a huge indoor fish tank. The Atlantic Room offers an extensive breakfast buffet, with free newspapers and unlimited tea and coffee. 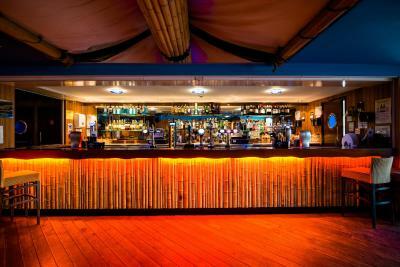 The stylish Castaway Bar provides a range of drinks and a bar menu, along with 4 flat-screen TVs showing live sports. 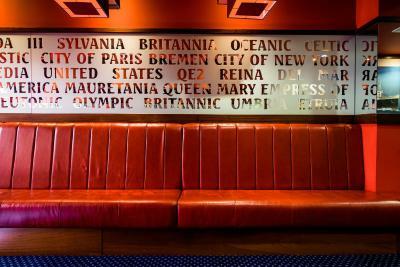 When would you like to stay at The Liner at Liverpool? These double rooms are located across decks 5 & 6. The bathrooms are fully tiled and offer complimentary toiletries and large towels. The rooms features free WiFi and a safety deposit box. These twin rooms are located on decks 2, 3 and 4. The bathrooms are fully tiled and offer complimentary toiletries and large towels. These rooms features free WiFi and a safety deposit box. This room is located on deck 4 of the boat and features a super king-size bed and a choice of pillows. 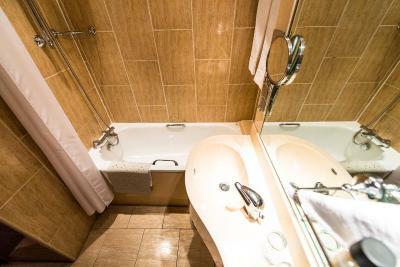 The bathrooms are fully tiled and offer complimentary toiletries and large towels. The room also offers bathrobes, slippers, mineral water and cupcakes. There is free WiFi, a safety deposit box, and an private bathroom with complimentary toiletries. 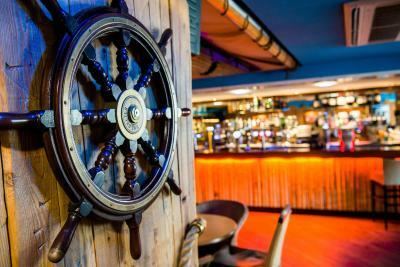 An impressive product design that includes all the hallmarks of a luxury cruise liner developed with a high standard of service, The Liner Hotel Liverpool provides a range of facilities and services that can cater for your every need. 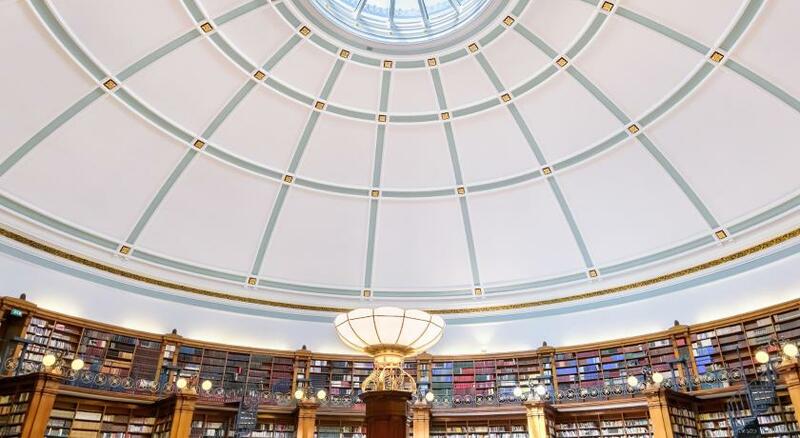 Located only 2 minutes walk from Lime St Station, The Liner Hotel Liverpool offers excellent accommodation, conference, meeting and event space in the heart of Liverpool City Centre. Developed with high standards of presentation and a Crew committed to exceptional Guest Service, The Liner Hotel Liverpool is a glowing example of the City's hospitality industry and we look forward to 'Welcoming You Aboard'. House Rules The Liner at Liverpool takes special requests – add in the next step! The Liner at Liverpool accepts these cards and reserves the right to temporarily hold an amount prior to arrival. Your credit/debit card will be pre-authorized for an amount every night, so that any drinks/meals taken can be charged to your room. All Guests must provide a valid credit/debit card on arrival, otherwise you may not be able to check-in. Reception On Arrival looked a Bit Stressed And Didn't Give Us The Friendliest Welcome We Have Had In Past At The Liner. However I must stress it was just after 2pm & Check in was very busy. Perfect all round, would recommend to anyone. The coldness of the receptionist and the fact that the hotel charged £10 to check out just one hour later than normal. The coffee at breakfast was from a machine and not terribly pleasant. No conditioner in the bathroom....as with most hotels! Why don't they provide this when they do provide shampoo, shower gel and body lotion?! Really convenient location for an early train departure the following morning. Staff were friendly on the front desk and the early check-in after a long haul flight was much appreciated. The couple in room 610 next door were arguing from 3.30 am for 2 hours before i had to phone reception. We had hardly any sleep. It’s an old hotel and shows signs of wear and tear. Poor WiFi, small tv which didn’t work great. No usb plugs in rooms. We weren’t told on arrival where breakfast was served so had to ask another guest. Arrived an hour earlier than our planned parking time and were charged £3 for the privilege!